Ellen DeGeneres I'm Back in New Montecito House ... What's Up, Oprah?!! 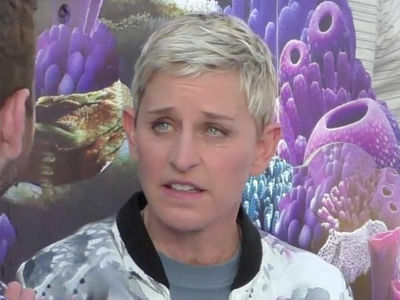 Ellen DeGeneres is back in her old haunt -- Montecito, CA -- and, while her new estate there is a little smaller, it shares a property line with Oprah Winfrey ... TMZ has learned. 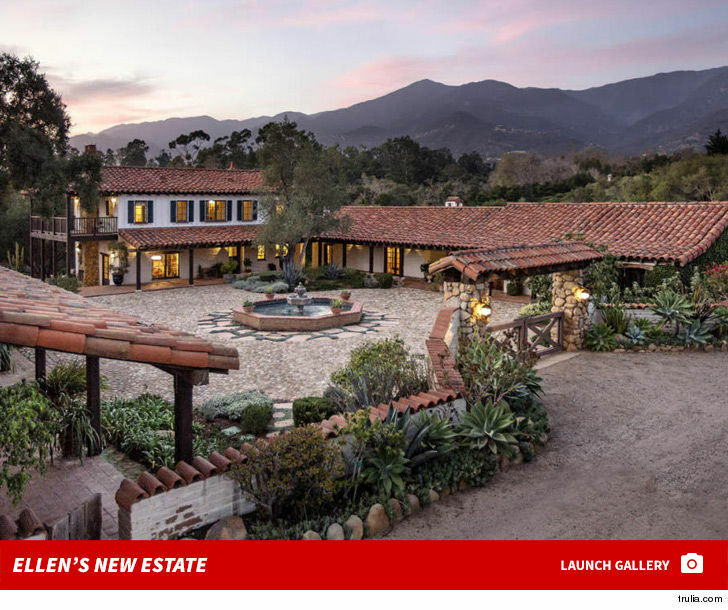 Ellen's new spread put her back just under $7.2 mil and sits on nearly 6 acres and includes 2 Spanish style homes -- one is 3,000 sq. ft and was built in 1845. The other is 3,600 sq. ft. ... built in 2006. There's also a barn for horses -- and the place has amazing ocean views. It's in a gated community right next to Oprah. Ellen can literally go knock on her door for a cup of sugar. Ellen's still in the process of selling her old Montecito mansion -- that one was on 17 acres -- for $39.5 million. And, oh yeah, the land baroness just snapped up a beach pad down the coast in Carpinteria, CA.